Sunday, August 26, 2018 - Liberian President and former football star, George Weah awarded former Arsenal manager, Arsene Wenger, with the country’s highest honor for nurturing talents from Africa. It is the French tactician who launched Weah’s football career when he signed him from Cameroon’s Tonnerre Yaounde to French side Monaco in 1988. The move paved the way for the striker to play for some of Europe’s top clubs, including AC Milan, PSG and Chelsea. In 1995, Weah was named World Footballer of the Year and won the Ballon d’Or making him the only African to win the prestigious award. 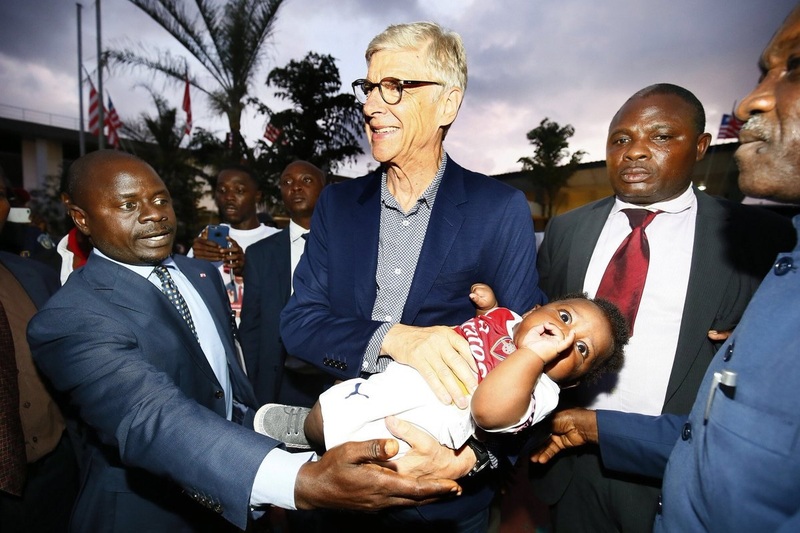 “You proved yourself as a teacher when you revolutionised forever the approach of scouting young talents all over the planet, particularly throughout Africa,” Weah said of Wenger during a ceremony in the capital Monrovia.